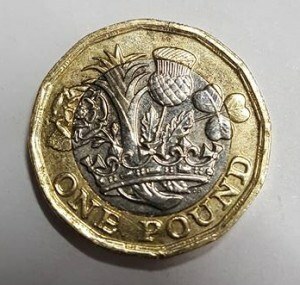 Impossible New £1 Found in Change. A man from the Midlands found this 2016 dated new 12-sided £1 coin in his change today (7th November 2016)! He was also recently in Devon and isn’t sure when or where he received it. Some vending machine company’s do have them for final testing, but they are strictly forbidden to even show pictures of them, let alone spend them! Officially they are due to be circulated in March 2017. 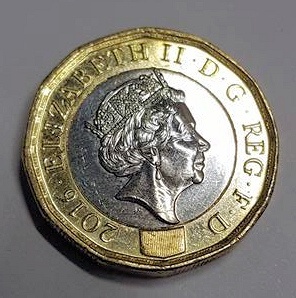 I’ve got a new pound coin dated 2012 with most of the letter ‘T’ missing from ELIZABETH, the guy seemed very genuine, I hope to get it authenticated by the Royal Mint, it was the second one I had noticed on Ebay, it only cost me a fiver plus 1 pound p and p so no great loss if its worthless. Saw your other post. I haven’t seen a picture obviously, but it really sounds like a minor mass production issue, i.e. clogged die etc. There are probably lots like that, in fact most of the new coins struck for circulation are unlikely to be truly perfect. I have 2 of the new £1.00 coins that do not have a dare printed on the edge, but on the front it shows 2016. Are these worth anything? They don’t have the date on the edge, they have it by the Queen as normal and then again in very tiny digits on the back close to the edge, repeated on each straight section. I have a new pound coin dated 2017 how much is it worth. It’s worth £1. They are currently appearing in circulation dated 2017.